Xing Fu Metal Accessories Co., Ltd. 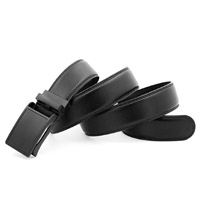 Features: The buckle can customize to fit strap and belt. 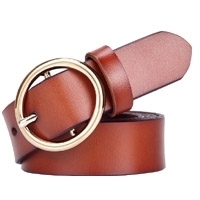 The buckles are high quality buckles. High polished brass give a real shine. Great for belt repairs or new belts. nickel free lead free. Material: Zinc Alloy Metal, or solid brass Color: Silver,brass, gold,black mat, gunmetal etc. Specification : Logo part can be made by hard enamel; imitation hard enamel; die struck soft enamel; die struck copper or brass without coloring, zinc alloy or pewter material. 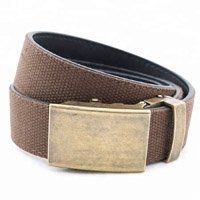 Zinc alloy is the most preferable material for belt buckles because of price issue and durable. Electroplating can be as multiple choices as general lapel pins. Backside fitting with options of BB-01/ BB-02/ BB-03/ BB-04 and BB-07 BB-05 is brass hose for holding BB-01/ BB-02/ BB-03/ BB-04 & BB-07 BB-06 is brass stud. BB-08 is zinc alloy stud. Main feature: 1. High quality with best price 2. Fashionable & new design 3. Material: Lead-tin alloy / tin alloy, nickel free and low lead; 4. Plating: Imitated rhodium / gold; 5. Stone: Preciosa stones with all color available; 6. Painting: Enamel with all color available; 7. MOQ: 200 PCS/design/color; 8. Logo: Available, to engrave on pendants or add a logo metal tag; 9. OEM: Available, welcome to send us your design. 10. High quality control, QC process strict. 11. Factory direct sales and excellent workmanship. Other terms: 1. Sample lead time: 7 days after confirmed; 2. Delivery time: 10-15 days after confirmed; 3. Standard Factory Packing: Each item to be packed with individual polybag, 10 individual polybag to be packed with inner polybag, 12 inner polybag to be packed with master polybag. Carton measurement: 39*23*23cm; 4. Export port: Guangzhou or Hong Kong 5. Payment terms: 30% TT deposit, 70% TT before shipment. Shipment: 1). If order is not very big, we will send you by UPS, DHL, FedEx. The tracking number will be advised after delivery 2). If order is big, we will advise you use Air Freight or Sea freight. 3). The balance payment should be paid before delivery to you. 1. Sample lead time: 7 days after confirmed; 2. Delivery time: 10-15 days after confirmed; 3. Standard Factory Packing: Each item to be packed with individual polybag, 10 individual polybag to be packed with inner polybag, 12 inner polybag to be packed with master polybag. Carton measurement: 39*23*23cm; 4. Export port: Guangzhou or Hong Kong 5. Payment terms: 30% TT deposit, 70% TT before shipme. We make the product keeping in mind all the testing criterias required. Short on time? 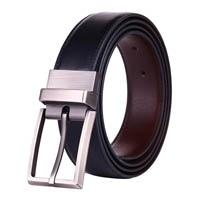 Let belt-buckles sellers contact you. Adopted good imported raw-materials and computerized machines in production to ensure the best quality of products. Always keep developing our products in high quality & fashionable design for customers. The best service we provide: 1. Finish: Available in various colors 2. Custom design, OEM, ODM are accepted 3. MOQ: 600PCS per style 4. Timely delivery guaranteed 5. Strong R & D team 6. Competitive factory-direct price 7. Excellent after-sales service. Foshan chengjie hardware manufacture factory was established in 2002, specialized in manufacturing Garment ornament hardware such as nailhead, eyelet, rivet, buckle and other hardware ornament for bag&shoes. Our factory located in china hardware trade center---danzao town, which is famous as "town of Hardware" in china.Our factory is very near to highway, only 30 kilometers to guangzhou airport, Which offer convenience for visiting factory. Mingshi Industry And Commerce Co., Ltd.
Bo Teng Hardware Product Co., Ltd.
Buolo County Yoligo Industrial Ltd.